New arrival just in time for the holidays! 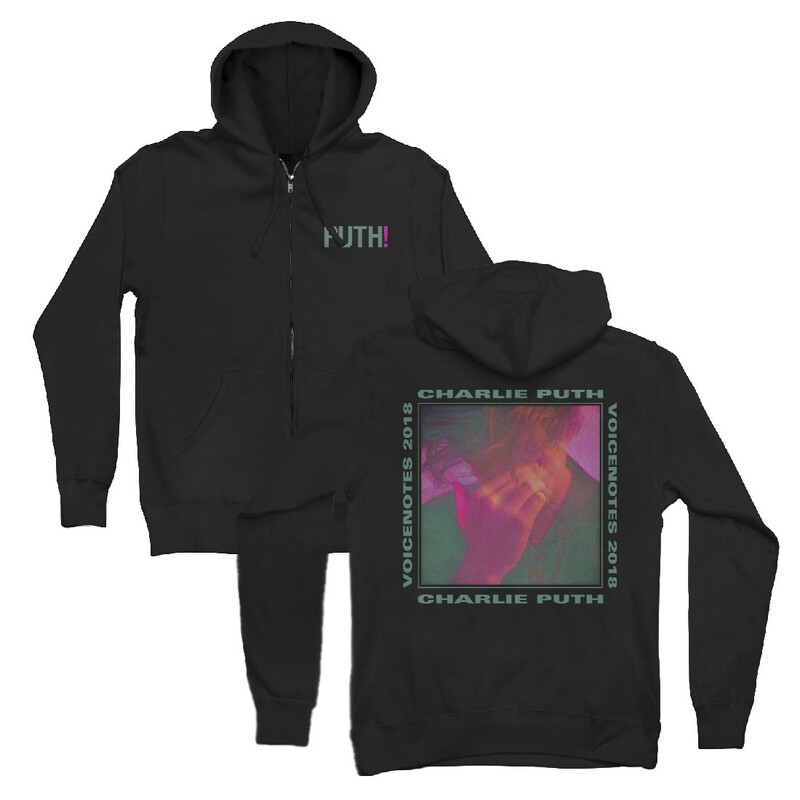 This black 'Shy Away' zip hoodie features 'Puth!' printed on the upper left side in green with a pink exclamation point. The back of the hoodie features a stylized photo of Charlie with pink and green tones. Around the photo 'Charlie Puth' and 'Voicenotes 2018' is printed in green. Unisex, slim fit.